Earlier this week, the U.S. Supreme Court decided three consolidated cases, styled Epic Systems Corp. v Lewis, Nos. 16–285, 16–300, 16–307, 584 U.S. __ (2018), that all raised the issue of whether a class arbitration wavier in various employment contracts was enforceable, given the potentially conflicting mandates of the Federal Arbitration Act (FAA) and the National Labor Relations Act (NLRA). In a 5-4 majority opinion authored by Justice Neil Gorsuch, the Court held that there was no conflict between the two federal statutes and that both were consistent with enforcing the class arbitration wavier. Justice Ginsburg, writing for the dissent, also found no conflict but believed that both statutes were consistent with the opposite conclusion—namely, that the class arbitration wavier was illegal and should not be enforced. In the alternative, the dissent reasoned that even if there were a conflict, the waiver was still unenforceable. The basic facts of these consolidated cases were that certain employees sought to bring a putative class action against their employers even though their employment contract contained a class arbitration waiver—that is, a clause that not only requires the employee to arbitrate rather than sue in court, but that also prohibits the employee from bringing a class arbitration on behalf of similarly situated employees. The employees argued that the waiver was illegal and thus unenforceable, because NLRA section 7 had been construed by the National Labor Relations Board to give employees an absolute, non-waivable right to band together in a class when suing their employers. See D. R. Horton, 357 N. L. R. B. 2277 (2012). The employers countered that under the FAA section 2, class arbitration waivers must be enforced strictly according to their terms, in some cases even if those terms are otherwise illegal. These cases therefore raised the specter of a conflict between two federal statutes: The NLRA, enacted in 1935, and the FAA, enacted in 1925. Under traditional conflict of laws principles, in the event of an unavoidable conflict between coequal statutes the later-enacted statute controls (in this case, the NLRA). In Epic Systems, that would translate into a victory for the employee. So the employers had to hang their hat on the argument that there was no inherent conflict between the FAA and the NLRA. The class arbitration waiver must be enforced under FAA section 2 even assuming NLRA section 7 makes it illegal. See majority op. Part II. The class arbitration waiver is not unenforceable under NLRA section 7 (overturning D.R. Horton). See majority op. Part III. The class arbitration waiver need not be enforced under FAA section 2 because there is a savings clause defense. See dissenting op. Part II.B. The class arbitration waiver is illegal and unenforceable under NLRA section 7. See dissenting op. Part I. The class arbitration waiver must not be enforced. Same as Employees’ Argument #1. Yes. See dissenting op. Part II.C. The class arbitration waiver must not be enforced because the NLRA, as the later-enacted statute, trumps the FAA. In doing so, the Court affirmed its longstanding view of the FAA as a sort of antidiscrimination statute, one that seeks to protect arbitration from what was viewed back in the 1920s as the common law’s longstanding “hostility” toward arbitration. Most readers would probably find this antidiscrimination frame jarring, especially because it invariably inures to the benefit of businesses that impose arbitration clauses—the purported victim of discrimination—on “little guy” consumers and employees. I encountered a lot of this skepticism when I first proposed the idea that, like it or not, the Court’s FAA preemption jurisprudence was in reality a jurisprudence of antidiscrimination. Now even the liberal, dissenting justices are on-board with this idea. Indeed, the antidiscrimination lens through which the Court sees almost everything arbitration arguably originated from none other than Justice Ginsburg. In 1996, Ginsburg, writing for the majority in Doctor’s Associates v. Casarotto, 517 U.S. 681 (1996), observed that “By enacting § 2 [of the Federal Arbitration Act] . . . Congress precluded States from singling out arbitration provisions for suspect status, requiring instead that such provisions be placed ‘upon the same footing as other contracts.’” Justice Ginsburg reiterated the antidiscrimination theme in her Epic Systems dissent, as did Justice Breyer in his dissent in the landmark case of AT&T Mobility v. Concepcion, 131 S. Ct. 1740 (2011). The transcripts of oral arguments in key cases such as Concepcion suggest that Justices Kagan and Sotomayor, too, have taken on board the antidiscrimination model of the FAA. The real question in Epic Systems is why FAA section 2’s antidiscrimination principle requires enforcement of the class arbitration waiver. Here Epic Systems breaks absolutely no new ground, since the rationale is exactly the same as the (tortured) rationale the Court relied on in Concepcion. Assuming, as the majority does in Part II, that NLRA section 7 makes collective action waivers illegal, section 7 is no different in form from the Discover Bank rule held preempted in Concepcion. Neither singled out arbitration directly; both banned class waivers equally in arbitration and litigation and in this sense were “facially neutral.” The trouble is that a rule that requires the availability of classwide relief disproportionately impacts arbitration because it “interfere[s] with a fundamental attribute of arbitration,” which the Court claims to be arbitration’s “traditionally individualized and informal nature.” (Slip. Op. at 8.) In antidiscrimination terms the argument is that arbitration and litigation are differently situated with respect to their ability to handle classwide relief; thus, imposing that mechanism equally on both of them is a form of discrimination, just as it is to require a disabled person to use stairs. As I have argued elsewhere, this is the antidiscrimination logic of Concepcion, and that logic was lifted lock, stock, and barrel into Epic Systems. Because of Concepcion and to some extent even Southland Corp. v. Keating, 465 U.S. 1 (1984), the employees’ contrary arguments that the class arbitration waiver was unenforceable, either because illegality is a ground for the revocation of “any contract” or because NLRA section 7 applies equally to class waivers in arbitration and litigation (and is thus non-discriminatory), were doomed from the very start. The arguments are persuasive in the abstract to be sure (and I should know since I made the latter argument in my amicus brief on behalf of the Concepcions back in 2011). But it is somewhat surprising that the lawyers chose to regurgitate arguments that the Court had already soundly rejected. The takeaway for me is that Epic Systems did not do a whole lot of damage, at least on the arbitration law side of things. For example, unlike Concepcion it did not affirmatively expand the FAA’s scope, such as by identifying a whole new category of state law (i.e., generally applicable contract defenses such as unconscionability, when they are deemed to discriminate against arbitration) that is now preempted. Likewise, unlike American Express v. Italian Colors, 133 S. Ct. 2304 (2013), it did not narrow the vindication of rights doctrine to situations in which enforcing the arbitration clause would make it impossible—rather than just cost-prohibitive—for one party to vindicate its rights. Simply put, Epic Systems did not involve any new interpretation of the FAA at all. The only arguably “new” thing about Epic Systems from an FAA standpoint is that it held that there was no conflict between the FAA and the NLRA. But given the Court’s tendency since the mid-1980s to find no conflict between the FAA and other federal statutes such as the ADEA and the Securities Acts, this was hardly surprising. The damage done by Epic Systems was more on the labor law and NLRA side of things. The reason I say this has to do with the issue at the core of the case, which I explained above to be about a conflict or potential conflict between two federal statutes. In order to reach its conclusion, the Court had to find both (i) that there was no conflict between the FAA and the NLRA and (ii) that at least one of them required enforcement of the class arbitration waiver. The Court managed to do the latter in Part II, by essentially reiterating the holding in Concepcion; it managed to the former in Part III, by interpreting the NLRA as having nothing to say about the subject at all (and by overturning D.R. Horton). It was the Court’s self-contained construction of the NLRA, in other words, that was new and that was instrumental in the ultimate decision. None of this is to deny that the damage done from this new interpretation of the NLRA is likely huge. Part of that damage consists, moreover, in the availability of fewer NLRA-based defenses to class arbitration and thus in a potential threat to the legitimacy of arbitration itself. But I am not an expert in labor matters and so will defer to others on the implications of Epic Systems in that field of application. 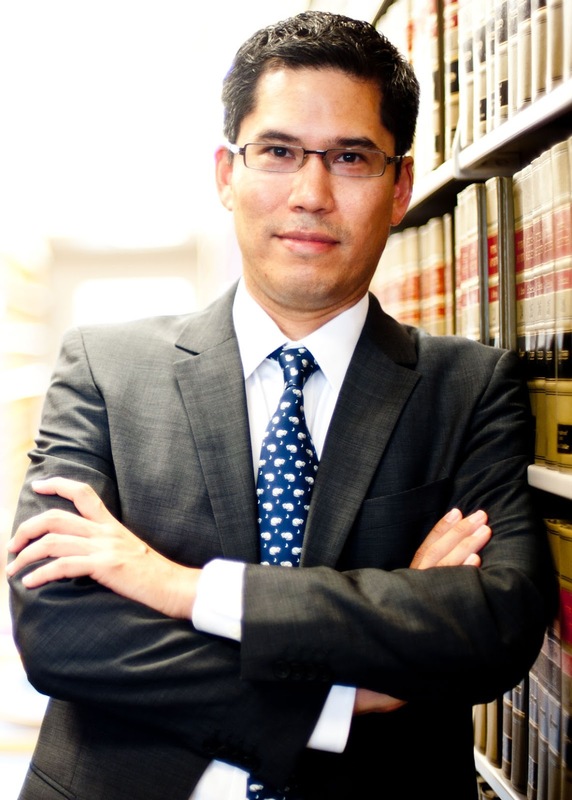 Hiro Aragaki is Professor of Law at Loyola Law School, Los Angeles and a Professorial Research Associate at SOAS Law School, University of London.